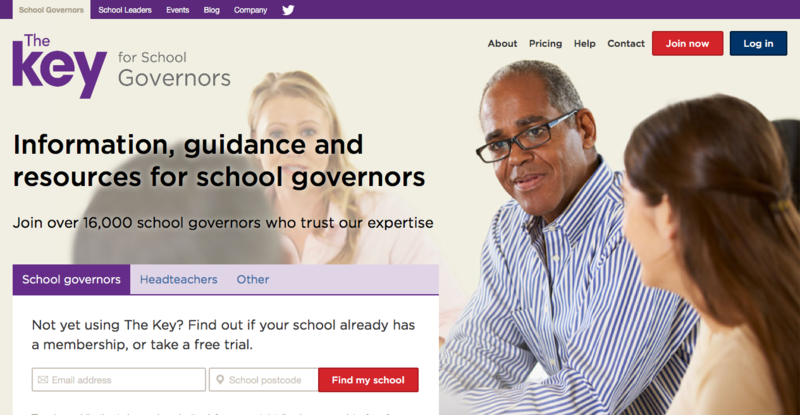 Last week the freshly redesigned The Key for School Leaders and School Governors went live, after almost a year in design and development. We’ve been working with The Key since their founding in 2007, and this is the third major update Isotoma has carried out. 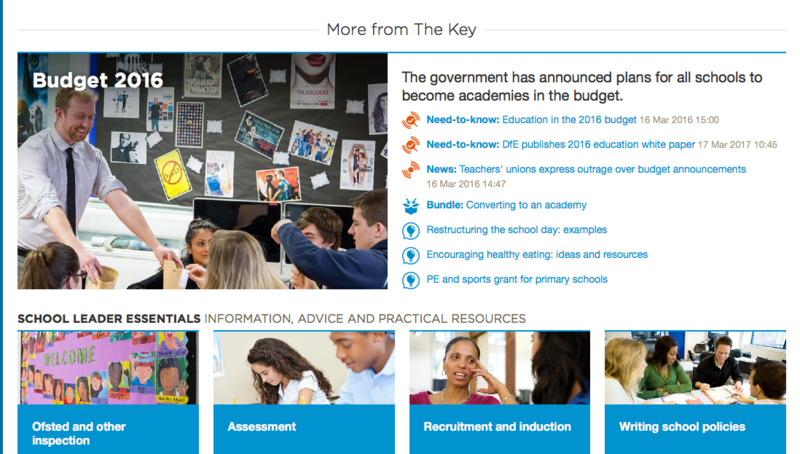 In the nine years since launching The Key has grown to support almost half of schools in England, with an amazing 75,000 registered school leaders and 17,000 registered governors having access to 5,000 original resources every month. It is now one of the most trusted sources of information in the education sector. It’s no small task to migrate that many regular, engaged users from a system they’ve grown used to across to a new design, information architecture and user experience. This post explains our process and the results. 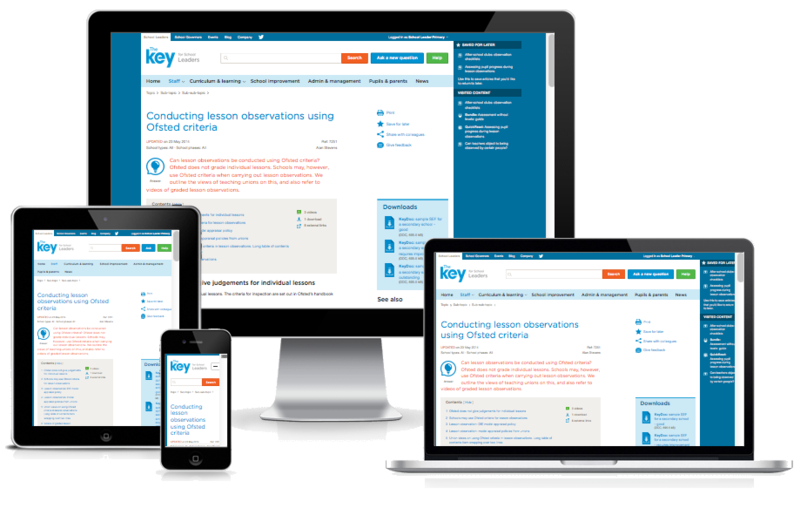 As an organisation answering questions from its members daily, The Key had a pretty good idea of some new features that they knew users would appreciate. For example, better information about their school’s membership: which of your colleagues are using it, when the membership renewal is due, etc. They also keep a keen eye on their web analytics, knowing what terms users are searching for, the preponderance of searching vs browsing, etc. But other questions could only be answered through user research. How effective was the site navigation? Are certain features unused due to lack of awareness, or lack of interest? As we had done with the initial design of the site, I went on-site to observe school staff actually using The Key. The left-hand navigation column was one such bone of contention. Article pages have always shown articles in the same topic in the column to the left. It was easy to argue that they were relevant “related content”, but did anyone ever use them? We found that, in fact, hardly anyone did. (A 2014 design change to make them look more inobtrusive until moused over simply made them more ignorable.) Users were more likely to click Back to their search results or previous topic page, or use the “See also” links. 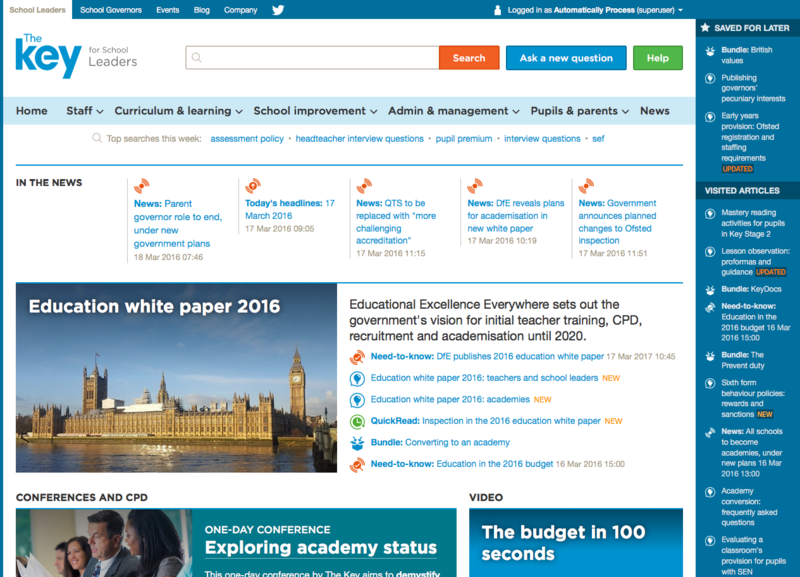 Out went the left-hand navigation – the savings went into a calmer, more spacious layout and a font size increase. The “See also” links, however, appeared at the top of the right-hand column, so were rarely on-screen at the time when users were finished with an article. So we made sure they reappeared when the user had reached the bottom of an article. Homepages – what are they good for? Another thing the user tests told us loud and clear was that the current homepage was not working. Nobody had anything negative to say about it, but most people couldn’t tell us what was on it, nor did it feature in their navigation journeys. However, we knew that most members were avid consumers of the weekly update emails, bringing news headlines and other topical articles to their attention. So the new homepage is designed much more like a magazine cover, promoting news and topical content in a much more eye-catching and easily scanned style. The new flexible grid-based layout allows the homepage design to be changed with ease. We know that most users’ journeys will continue to be task-driven, but we wanted to increase the likelihood of serendipitous browsing – all members said they do enjoy browsing content not related to their initial search, on those occasions when they have time to spare. We have also added what we refer to as a “mini homepage” below each article, with a magazine-style display of new and topical content. This does much the same job as the homepage, but does not require the visit to involve a visit to the homepage. Most people used Search to find what they’re looking for, but a significant number also browsed, using the site’s carefully curated Topic hierarchy. In both cases, we saw opportunities to speed up the process. Switching to a new, high performance search engine, Elasticsearch, let us present top search results for a query dynamically – in many cases, this should avoid the need to browse a page of search results entirely. We also introduced a large “doormat” style dropdown navigation on the main topic bar. This lets users skip entirely two or three pages of topics and sub-topics. 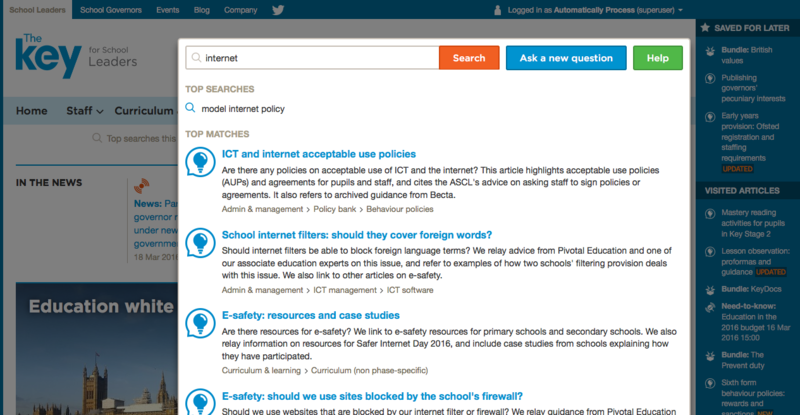 It also makes it much easier to scan topics to decide on the most relevant area, without leaving the current page. There are too many other changes to list in this post. The customer acquisition journey – marketing and signup pages – was entirely redesigned. Some unused tools were removed and some under-used tools made more prominent. New article types were introduced such as article bundles, and dedicated News section was added. Under the hood the front-end templates were given a full overhaul for the first time since 2007 – they have held up remarkably well, even allowing a full “CSS Zen Garden” style redesign in 2014. But in other respects they held us back. We now have a fluid, responsive 12-column grid system and a whole library of responsive, multi-purpose modules. There is a module compendium and style guide to explain their usage and serve as reference design. This was also our first site to use an SVG-based icon system. We went with the Grunticon system, which provides a PNG fallback for browsers that don’t yet support SVG (IE8 and below). Grunticon applies SVGs as background images, however, so they cannot be recoloured using CSS. 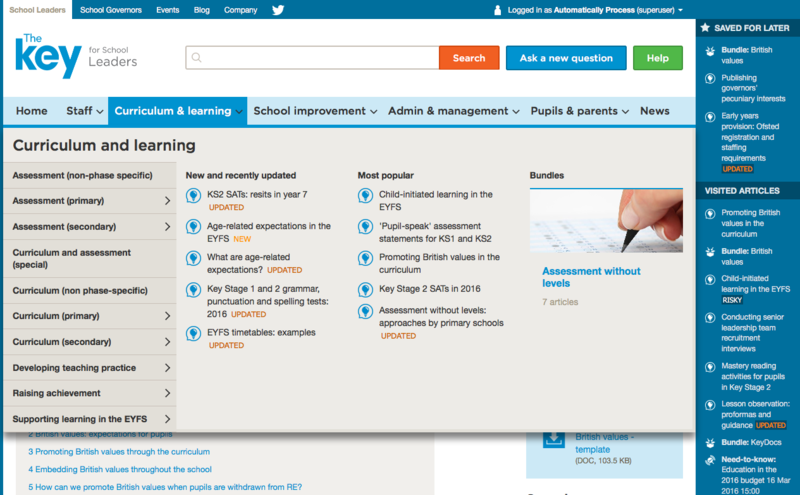 Since the site has two distinct visual themes – for School Leaders and School Governors – each Grunticon icon was also sprited to allow a colour theme to be applied with only a CSS change. Our work is by no means done. The Key have many exciting developments planned in 2016, and we can’t wait to work on them… And expect another post from our development team on the process of migrating such a large site from one CMS (Plone) to another (Wagtail) in the not too distant future. About us: Isotoma is a bespoke software development company based in York, Manchester and London specialising in web apps, mobile apps and product design. If you’d like to know more you can review our work or get in touch. This entry was posted in User experience and tagged customer insight, interface, user data, ux on May 31, 2016 by Francois Jordaan. User generated content helps to uncover war crimes Will the industry heed the Digital Powerhouse Report?